What’s the best way you can help yourself when it comes to reaching your goals? If you ask us, it’s all about having a plan. At Isagenix, we pride ourselves on giving our Associates the best tools possible to help everyone achieve their version of the IsaLife™. All of our Associates have different goals, but what we all have in common is that we are all more likely to accomplish our goals if they are written down – and even more so if you act on them! This is why we created the IsaLife Success Plan, to give everyone the tips, tools and resources to help you grow your business. 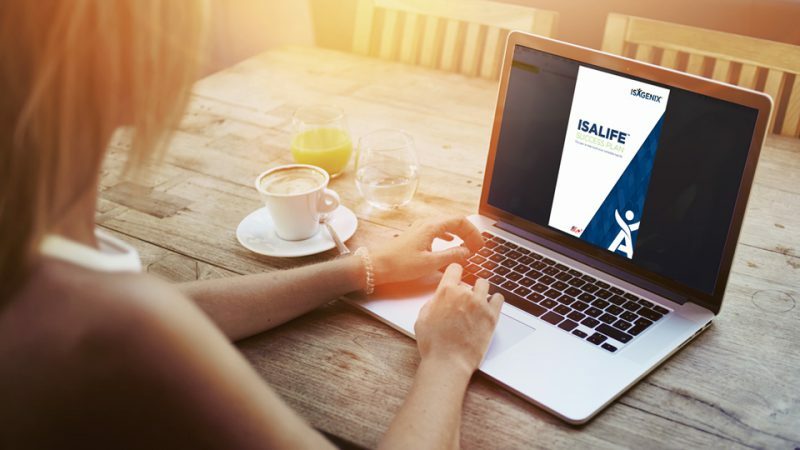 Whether you are new to Isagenix or are a seasoned Associate, the IsaLife Success Plan is a fantastic resource to help you achieve your goals. If you haven’t already downloaded a copy, here are some of the highlights that can take your business to the next level. We know it can sometimes be a tad intimidating to share the Isagenix opportunity with family, friends and your wider network. That’s why you’ll find detailed sample scripts in the IsaLife Success Plan to help you feel confident when you are speaking about Isagenix. Our Say, Share, Do approach guides you during phone or face-to-face conversations and when drafting social posts and text messages, so you don’t feel nervous or awkward communicating about Isagenix. Learn how to post information on your personalised website and social media pages and find step-by-step instructions on how to introduce people to Isagenix. How cool is that? Feeling a bit overwhelmed with all your to-do lists? The New Member Checklist is a great way to help you get organised and set goals. To help you stay accountable, a weekly calendar is included in the IsaLife Success Plan, so you can write down goals and top priorities, along with a to-do list. There’s even an area for notes and reminders. Awesome, right? Wondering where to find other valuable information online? In the IsaLife Success Plan, you’ll find important links to websites you’ll want to keep with you for easy access and quick reference. This workbook will be your new best friend, the tool that will help you accomplish measurable outcomes and take concrete action. Whether you’re a network marketing newbie or a seasoned professional, this is your map to help you achieve incredible success.